The Collingwood Arms Cornhill-On-Tweed, Scotland. 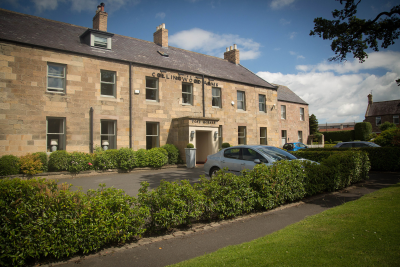 With charming views across the River Tweed and into the Scottish Borders, sublime and well-reviewed food and 15 classically furnished rooms, The Collingwood Arms is a multi-award winning retreat that offers a luxurious home from home. Our 13 rooms and two suites, offer an understated luxury that befits the rolling and unspoiled terrain surrounding us. The same style of combining classically styled antique furniture with modern comforts is evident throughout this historical inn. Our Restaurant is run by The Collingwood’s Head Chef, Tom Shutt, and a team that operates so seemlessly, you won’t notice it.